Our product range includes a wide range of allen bradley soft starters. 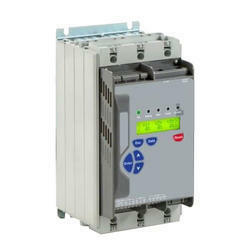 Intelligent Motor Controllers & Soft Starter 1. Highly economical in comparison to other products available in this range. 2. Basic features offered from soft starting upto high energy saving with high end protection features. 3. Different types of remote communication modes available from basic modbus to typical ethernet and other industrial protocols. 4. Widest Available product range from 230volt/460volts 3amps to 1600amps rating. 5. Best pricing available for the product, comparable to conventional starters. Looking for Allen Bradley Soft Starters ?